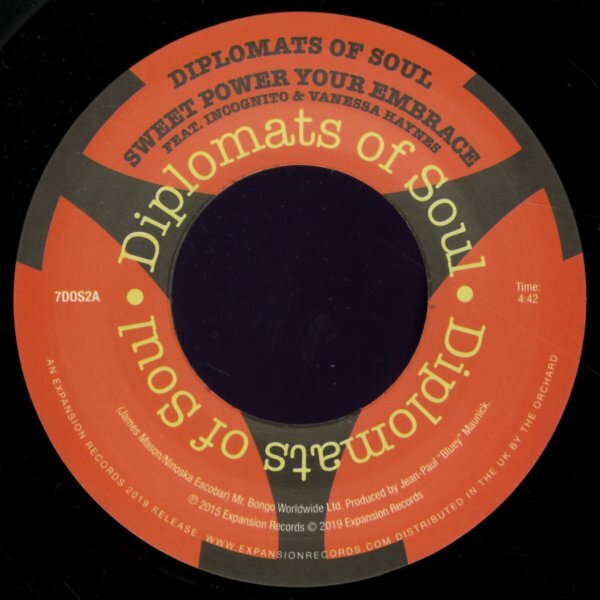 One of our favorite tracks of all time – James Mason's "Sweet Power Your Embrace" – done here in a wonderfully faithful version by Diplomats Of Soul, with help from Incognito and the lovely Vanessa Haynes on vocals – who serves up the lyrics with maybe even more soul than the original! "Brighter Tomorrow" has more great Incognito work – right down to production from Bluey – and Imaani sings the vocals for this great take on the positive tune! © 1996-2019, Dusty Groove, Inc.